February 27 (Itar-Tass) – Representatives of the Romanov House have asked the Russian Prosecutor General’s Office to send to court their appeal about rehabilitation of Russia’s last Tsar Nicholas II and members of his family. A lawyer of Imperial House head Grand Duchess Maria Vladimirovna, German Lukyanov, told Itar-Tass on Monday that « we have repeatedly sent documents to the Prosecutor General’s office addressed to the Prosecutor General with the request to send the rehabilitation case to court with a summary of the Prosecutor’s Office ». The lawyer cited an article of the law on rehabilitation of victims of political reprisals, according to which a rehabilitation case, if it is turned down, must be sent for a court review. 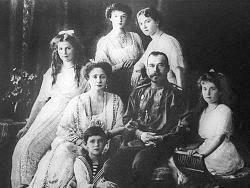 The Romanov House appealed for rehabilitation of Nicholas II and members of his family, who were shot to death in Yekaterinburg in 1918, on December 1, 2005. On February 13, they got an answer denying the rehabilitation because of the absence of juridical reasons. « There is no accurate evidence of the existence of any official court or non-court decisions on using against the dead political repressions for political motives, as rehabilitation legislation requires, which does not allow us recognising the dead as victims of political repressions and making a decision on their rehabilitation, » the prosecutors answered. Meanwhile, the lawyer said that the answer from the Prosecutor General’s Office did not cite any law norms. « It is unknown for the modern society for what reasons the refusal has come ». He cited the rehabilitation of Swedish diplomat Raoul Wallenberg, in whose case evidence of a sentence against him was also absent. Soviet secret service SMERSH (« Death to Spies ») seized Wallenberg, a saviour of many Jews, in Germany in January 1945. He later died in prison in Moscow. « Nikolai Romanov was also in incarceration in a special house in Yekaterinburg, and there are documents showing that he was just shot to death. How one can say that he was not a victim of arbitrariness of the totalitarian regime and was not exposed to political repressions for social, class or other motives, » Lukyanov said. « We also ask the Prosecutor-General to answer for what reasons the case has not been sent to court, as Russia is a democratic law-ruled state, » the lawyer said. He did not rule out challenging the decision of the Prosecutor-General’s Office in court and filing an appeal in defence of legitimate rights of the Romanov House.